Lol. That title. 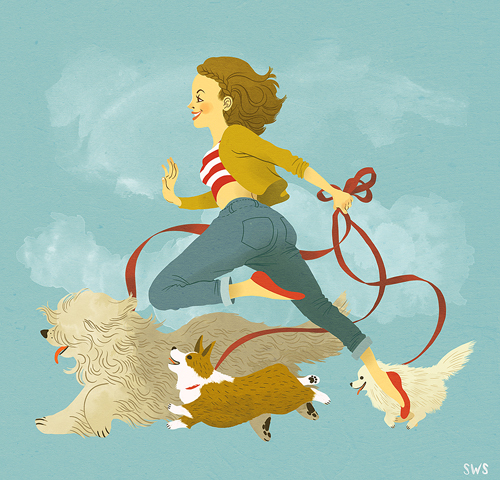 Anyhow, I just finished an illustration about fun ways to exercise. This was one of those pieces where I couldn't step away from the Cintiq. I whipped up this super lively sketch last night and couldn't wait to take it to finish. Complementary color schemes are a recurring theme in my illustrations. Lately I've really been leaning towards turquoise/red palettes, but this time yellow and blue really looked great! © 2012 shannon snowTo see a full-size version, please refer to my portfolio!